International Forum for Camel Advocacy and Medicine, an international research advisory board. Born in a semi-pastoral community, an animal scientist by profession and specialized in different aspects of the camel’s world. Nature lover, ecosystem believer, and natural healer. Research on camels since 1969. Wrote 4 books, many chapters in books, over 100 scientific publications on camels (farming, milking practices, reproduction, nutrients and probiotics, cosmetics and cosmeceuticals). Associate Professor at ITMO University in St. Petersburg, Russia. Research areas: food science; meat, fish, dairy products; biotechnology. Independent Veterinary Professional; Accredited Livestock Emergency Guidelines and Standards (LEGS) Trainer Founder Member Kenya Camel Association. Associate professor of university, scientist, researcher, teacher, nutritionist, herbalist and specialist in production of healthy animal products such as meat and milk, and using medicinal herbs for healthy of human and animals. Agricultural scientist (Dr. Sc. Agr., M. Sc. Agr.) specialized in animal production, cultural anthropologist (M.A. Cult. and Soc. Anthrop.) and mediator. Successfully treating Chronic Inflammatory Response Syndrome (CIRS) in Roswell, New Mexico since 2009. Karen Thomas, CMT, CST-D, is the founder of Naturally Recovering Autism. Thirty years as a Craniosacral Therapist led her to find an all-natural, drug-free approach to recover her own son from autism. 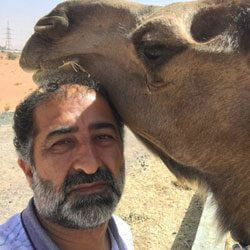 Since receiving his Ph.D. from the University of Agriculture Faisalabad (Pakistan) in 2009, Dr. Abdul Razig has been a leader on the benefits and science of camels. Dr. Abdul Raziq’s consulting work with Camels4All lead to the establishment of the camel dairies around the world. Under his guidance, several camel dairies operate with standardized systems for the development of quality milk, while maintaining and protecting the camel’s welfare. He serves as the technical director of Alain Dairy Camel Farm. Utilizing genetic selection he significantly increased the average camel milk yield, improved feeding, and overall management. Dr. Abdul Raziq collaborates with worldwide experts, scientists, and farmers on camel benefits. He is a champion of the health and environmental benefits camels can provide humans on a global scale. Dr. Jodie A. Dashore OTD (Neurology), MSc (Neurology), SIC, HHP, BCIP is an internationally recognized, pioneering physician in the world of “Complex Autism”(TM), Lyme Disease, Biotoxin Illness, and Chronic Inflammatory Response Syndrome. 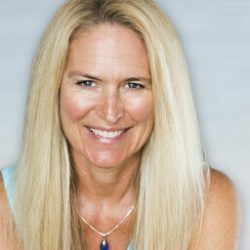 She is a Board-Certified Doctor of Occupational Therapy (Neurology), a Board-Certified Holistic Health Practitioner, and Board-Certified in Integrative Pediatrics – with over 20 years of clinical experience. Dr. Dashore and her son are survivors of late stage Lyme Disease and CIRS. Dr. Dashore has been an ILADS practitioner since 2011. She is currently pursuing her Ph.D. in Integrative Medicine with a focus on Medical Herbalism and Quantum Physics. She has completed two years of intensive herbal studies under the guidance of renowned AHG Master Herbalists. From 2011 to 2018, she was very fortunate to be mentored by Clinical Herbalist Julie McIntyre, and guided by Master Herbalist Stephen Buhner in plant-based medicine and to heal her only child from late-stage Lyme disease. Dr. Dashore is a CIRS/Biotoxin Illness Certified Practitioner with Dr. Ritchie Shoemaker, MD. She’s successfully used camel milk with her patients since 2012. 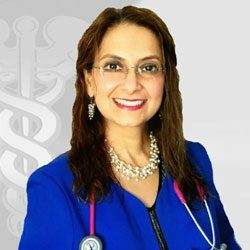 Dr. Dashore was allopathically trained offshore in the specialty of Neurology along with the naturopathic disciplines of Ayurveda, Homotoxicology, Homeopathy, and Yoga in India and the UK. Dr. Dashore has been fortunate to have been mentored by Dr. Joseph Jemsek and Dr. Charles Ray Jones in Tick-Borne Diseases, by Dr. Eugene Shippen in Endocrinology pertaining to CIRS and Lyme Disease, and by Dr. Scott McMahon and Dr. Ritchie Shoemaker in CIRS and Biotoxin illness. She was recommended by Stephen Buhner to teach multiple practitioner training workshops in Lithuania and Eastern Europe (2017) and has co-taught plant-based medicine workshops in the UK (2018) with Julie McIntyre. Dr. Dashore was invited by the world-renowned spiritual leader HH Sri Sri Ravishankar to visit and collaborate in plant-based medicine research with the premier Ayurvedic Hospital in Bangalore, India (2018). She has been invited to speak at numerous international conferences in the UK, Australia, Poland, Italy, Spain, Scotland, Dubai, Croatia, Malaysia, and Singapore. Dr. Dashore is the founder and Director of BioNexus Health Clinic in Marlboro, New Jersey (2009), specializing in plant-based treatment options for chronic neurological illnesses, Autism, tick-borne infections, and CIRS and works with patients from over 40 countries around the world. Dr. Jodie A. Dashore Dr. Jodie A. Dashore is a leading naturopathic practitioner utilizing individualized camel milk therapeutic protocols for autism and other conditions. Dr (*DVM, Holland), Prof. (emeritus) Physiology, Medical School, Ben-Gurion University of the Negev. Research on camels since 1969. Wrote 4 books, many chapters in books, over 100 scientific publications on farming camels, milking practices of camels (to reach over 10 liters per day), reproduction in camels, use of camel milk as nutrient and probiotic, camel-milk -cosmetics and cosmeceuticals. Research on camels since 1969. Wrote 4 books, many chapters in books, over 100 scientific publications on camels (farming, milking practices, reproduction, nutrients and probiotics, cosmetics and cosmeceuticals). With a background in food science and engineering, Nadtochii Liudmila received her Ph.D. in applied biotechnology in 2000 from ITMO University, one of Russia’s National Research Universities. University, Russia. 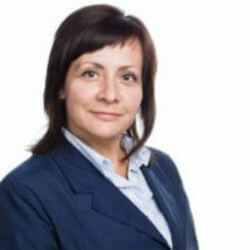 In 2003, Dr. Liudmila began teaching in the department of Technology of Milk and Dairy products at ITMO University. In 2003, she became an associate professor in the department of Applied Biotechnology. Dr. Liudmila’s currently researching resource-saving environmentally-friendly biotechnology and functional foods based on nano-encapsulated biologically active ingredients. Dr. Ngeiywa has wide experience in leadership, partnerships and collaboration, participatory methods, community mobilization, training community members and their service providers. He has also worked in multi-cultural and multi-sectoral environments and possesses practical experience in participation processes, rights-based approaches, principles of adult learning. 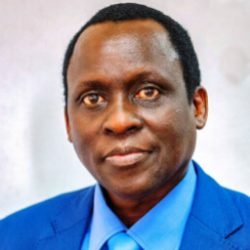 Dr. Ngeiywa is an experienced independent veterinary professional skilled in policy analysis and strategy development; animal health development and research; Livelihood support and livestock emergencies; participatory Integrated Community Development (PICD) tools; food safety and food security, sustainable natural resources management; human capacity development; project evaluation; and pastoralists’ livestock development issues. He has excellent skills and knowledge in baseline surveys, training, participatory methodologies; workshop facilitation and rapporteur, and livestock market access & trade and value-lead chains among others. His wide expertise includes camel development and research; community mobilisation to address hazards; project management; advocacy and lobbying. As pertains to his employment record – Since 1985 Dr. Ngeiywa has risen in ranks from divisional veterinary officer, camel projects veterinarian, district veterinary officer as senior veterinary officer; senior veterinary investigation officer; assistant director of veterinary services; senior assistant director of veterinary services; deputy director of veterinary services to the director of veterinary services (2013- July 2017). 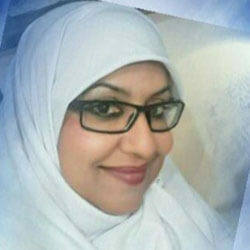 She is working as academic member for Faculty of Animal and Food Science of Agricultural Sciences and Natural Resources University of Khuzestan, Iran. She is working as supervisor for many PhD and M.Sc. students, also doing many projects in her specialty. She is researching possible changes in the dairy camels’ feed by using some plants to enhance milk quality, especially the CLA. CLA is already higher in camel milk but her research team has found ways to further enhance it in the camel milk. CLA has a diverse health promising effects as lowering cholesterol and antioxidant, which helps in lowering the risk of cancer. She published a book about bioactive matters in milk of livestock that a chapter is about the nutritive value of camel milk. Also she had some presentations about the benefits of camel milk on healthy. She has produced some biologic enzymes from gut microorganisms of animals. She is member of the Iranian society of animal science and medicinal herb society, member of the editorial board of some international and national Journals, reviewer for many national and international journals, and member of scientific excellence center. She is also member of editorial boards of some international and national scientific journals. Dr. Tahereh Mohammadabadi has published more than 100 publications, conferences presentations, scientific projects and 6 translated books (on phytochemicals of herbs, milk etc.) and working on a universal book about medicinal herbs. Her research interest is research in nutrition of human and animal, gut microbes, health and organic animal products, dairy products and meat, medicinal herbs for healthy, camel and other animal researches (changing of diet to produce enriched milk and meat). Agricultural scientist (Dr. Sc. Agr., M. Sc. Agr.) specialized in animal production, cultural anthropologist (M. A. Cult. & Soc. Anthrop.) and mediator. He works as a mediator in economic conflicts – especially agriculture-related conflicts, freelance consultant and researcher in tropical animal production. His fields of interest include Animal production and products (with special emphasis on camels), cultural and social aspects of the marketing of livestock and animal products (e.g. livestock policies, consumer prejudices, and food taboos), urban and peri-urban livestock production, anthropology of nutrition and pastoral nomadism. Scott W. McMahon, MD, received his Bachelor of Science degree in Chemistry from Creighton University in 1985. He completed his Medical Degree at Creighton University School of Medicine in 1989. He concluded a prestigious pediatric residency at Duke University Medical Center in 1992. 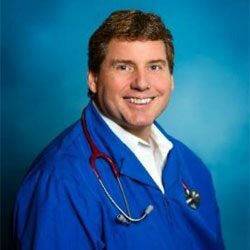 He has maintained board certification and has been practicing pediatrics in Roswell, New Mexico, for 26 years. His interest in Chronic Inflammatory Response Syndrome (CIRS) began in 2009. Dr. McMahon first learned about CIRS after being approached by a businessman whose daughter became ill while attending a local school. 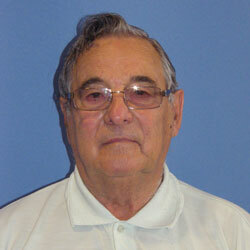 This man’s search for his child’s healing brought him to Dr. Shoemaker. Dr. McMahon visited Dr. Shoemaker’s office twice and saw the tremendous need for physicians treating CIRS. Dr. McMahon immediately opened a practice in Roswell specifically to diagnose and treat patients with CIRS, starting with 15 patients from the local school. His CIRS practice has now grown to several hundred adults and children. Dr. Shoemaker has and continues to graciously give of his time and knowledge to ensure a first-rate education to all about CIRS. No board certification currently covers this illness and the closest to such accomplishing this is passing Dr. Shoemaker’s CIRS Certification Program. Dr. McMahon is the first physician in the world to complete this rigorous testing. Dr. McMahon has spoken on CIRS and other topics at a number of medical meetings. 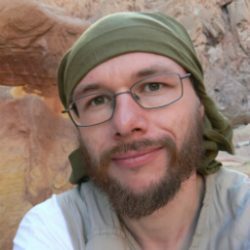 He has written two books and co-authored three consensus statements. One statement, co-authored by Dr. Shoemaker and other experts, is the most comprehensive paper to date on CIRS and the health effects of exposure to the interior of water-damaged buildings. Dr. McMahon has participated in “mold” cases for plaintiffs and the defense. He maintains an office for CIRS patients in Roswell, New Mexico. Karen Thomas is the founder of Naturally Recovering Autism. After thirteen years of research, she has brought her own son to recovery from his symptoms of autism through all-natural resources. Knowing parents need a reliable plan she set up a 4 stage process to help parents of children with autism to recover their children. Stage 1 is healing the gut, Stage 2 is natural heavy metal detoxification, Stage 3 is clearing the co-infections, and Stage 4 is brain support and repair. Karen’s holistic background of 30 years as a Craniosacral Therapist led her to find an all-natural, drug-free approach to recover her own son. Karen Thomas has become one of the most trusted resources of parents of children on the autism spectrum. Karen’s knowledge is offered in multiple sources such as her book, Naturally Recovering Autism: The Complete Step-By-Step Resource Handbook for Parents. She also offers a regular blog, a podcast, and a live weekly radio show where she interviews experts. You can find these resources on her website at, NaturallyRecoveringAutism.com, where you can also learn about her step-by-step online autism recovery program. A non-profit program currently in over 40 countries. Karen Thomas is the founder of Naturally Recovering Autism. Thirty years as a Craniosacral Therapist led her to find an all-natural, drug-free approach to recover her own son from autism.